We poisoned ourselves with lead during the 20th century in most industrial nations. We used the metal widely, because lead paint is durable, engines run better on leaded gasoline and lead water pipes don’t rust. We now have good news. My colleagues and I have recently shown that, in Canada, our accumulated lead exposure has reduced by half since the early 1990s. Improvements to federal, provincial and municipal regulation and monitoring have been very successful. We have removed lead from gasoline, lowered permitted levels in paint and banned the use of lead solder in drinking water plumbing. We have lowered our body burdens of lead. But I want to warn people that we cannot be complacent. Lead exposure reductions require active management. I point to Flint, Mich. in the United States, where lead exposure controls failed in 2014 and children were lead-poisoned for months. In the time since I conducted this study, austerity measures have led to staff reductions in regulatory agencies in Canada. In the U.S., agency changes are now under way and reversions to older legislation have occurred. I worry that measures such as relaxed permissions around mine waste could have an impact on heavy metal levels in drinking water. I am very happy that lead exposure is reduced because this metal is so toxic. Lead lowers children’s IQ. The evidence shows that children with blood lead levels of 10 micrograms of lead per deciliter of blood (μg/dL) score four points lower on IQ tests than children with blood lead levels of 2 µg/dL. The reduction increases to seven points in children with blood lead levels of 30 µg/dL. My colleagues and I have also shown that lead-exposed children have higher blood pressure late in life. We also found that women exposed to lead undergo menopause earlier than non-exposed women. Reductions in lead exposure are therefore good news for us all. We are healthier and our children are, on average, smarter. Health Canada supported our study to determine lead exposure in Canada, contributing funding and scientists’ time. Together, we set up a laboratory and equipment at St. Joseph’s Medical Centre in Toronto and invited people from the area to come and be assessed. We studied 273 people of all ages, from small children on their mothers’ laps to elderly grandparents. Our volunteers in the study ranged from 14 months old to 82 years of age. We took blood samples and we used an X-ray technique (developed by us at McMaster University) to painlessly measure the lead content of bone. We measured both bone and blood lead levels. This allowed us to assess recent and long-term lead exposure. When we ingest lead, it enters the blood stream and moves from blood into bone, where it is stored for years to decades. Over time, it slowly comes back out from bone into blood. When we measure blood lead levels, we are measuring two separate exposure components. We measure ongoing exposure from external sources like water and dust over the last month or two. We also measure lead in blood that is released from bone. By measuring both blood and bone lead levels, we can calculate the portion of blood lead level that is recent, and the portion that is from our historical exposure, stored in bone. In our study, we measured two bone sites, shin and heel, and whole blood and blood serum levels to get a full picture of lead exposure in Toronto. The X-ray based bone lead measurement system is a low risk and painless way to measure long-term lead exposure. We measured lead in bone by placing a small gamma-ray source against a person’s leg and capturing the X-ray signal reflected back into a specialized radiation detector system. Lead emits X-rays that are characteristic of, and specific to, the metal. We detect those X-rays, and compare the signal intensity from a person with signals from calibration standards. We can thus accurately estimate bone lead levels in our volunteers. We found that bone lead levels increased with age as we expected. Lead builds up in the skeleton over time, so we predicted that older people would have higher lead levels than younger people. Importantly, we found bone lead levels in Ontario were lower than they were nearly 20 years earlier, when we published two similar studies. I was excited to find that bone lead levels are now 50 per cent lower than two decades ago. I was even more excited when I realized that current lead exposure is so low that more lead is leaving bone than entering bone. Blood lead levels have fallen significantly since 1978 in a very similar patter across both Canada and the United States. Data are drawn from the Canada Health Measures Survey, the U.S. National Health and Nutrition Survey and our recently published study. Bone lead levels have fallen with time. I, like everyone else aged 50 in Ontario, now have less lead stored in me than when I was 30. Our results can be extended to all of Canada and are compatible with data from the U.S. We have defined a new “normal” for long-term lead exposure. This is a remarkable public health achievement in North America, and similar patterns are seen in most other industrialized countries in the world. Exposure to a widespread toxin has fallen dramatically. Even if we introduce no further preventive measures, blood lead levels will continue to fall for years, as levels fall in peoples’ bones. This is an excellent result, but we do need to remain vigilant. Lead has not disappeared from the planet, we have instead actively managed our exposure. We cannot stop. Smugness could be our downfall if we allow ourselves a mindset that lead exposure cannot be a future issue because it is not now an issue. 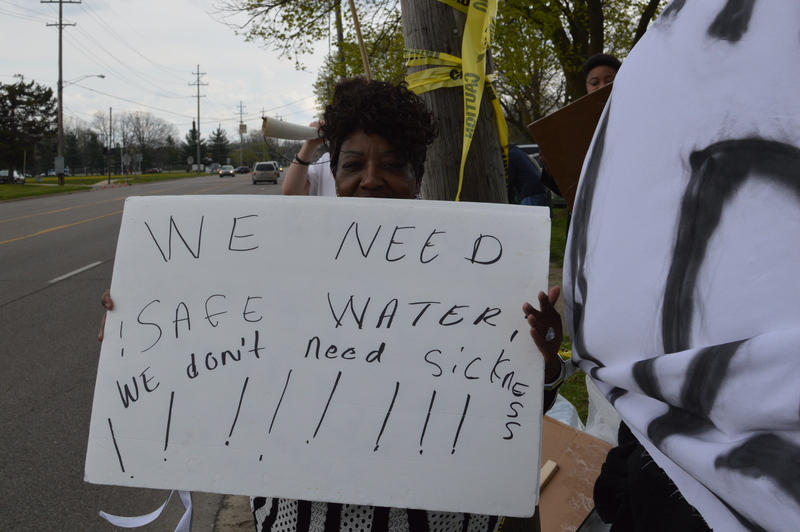 Complacency and intransigence were factors in the increase in lead poisoning in Flint, Michigan. Blood lead levels were assessed on a subset of children in Flint Michigan. After the switch in water source, a higher percentage of children were found to have blood lead levels over the action level of 5 µg/dl. The increase is a result of a failure to manage lead exposure. The lead pipes were throughout the city, but the percentage of children with increased blood lead levels changed because the change in water source and exposure-monitoring was badly managed. We must avoid any increase in lead exposure. The saddest future I can imagine is one where major improvements in health and IQ are lost. Our children face many challenges, like climate change, in the future. They will need to be smarter than us to manage them.